One room for yourself, no sharing with anyone else. 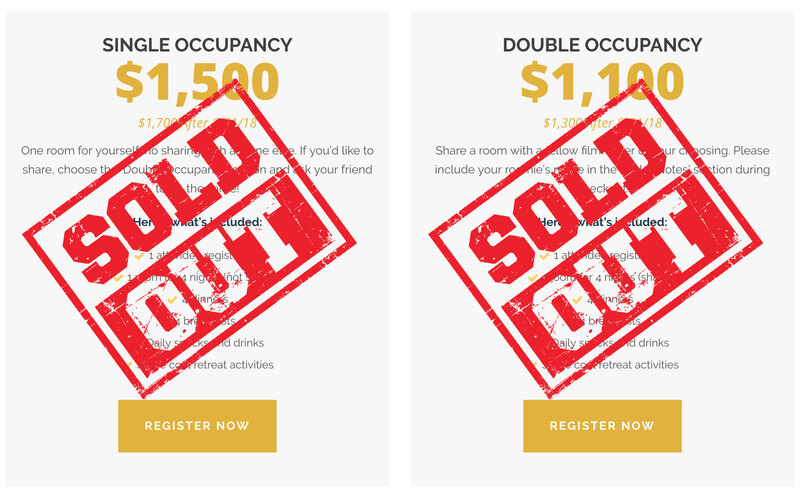 If you’d like to share, choose the ‘Double Occupancy’ option and ask your friend to do the same! Share a room with a fellow filmmaker of your choosing. Please include your roomie’s name in the ‘Order Notes’ section during checkout. Would you like for that special someone to join you on this fabulous trip to Mexico, but they aren’t a filmmaker and wouldn’t take part in the workshop itself? Select a single occupancy ticket for yourself (since it’s one workshop registration) and add this option for your other half to cover their food & beverage expenses at the villa. NOTE: Only three rooms at the villa have two beds, all other rooms have one king bed. If you are selecting double occupancy and want separate beds, please say so in your registration. These rooms will be reserved on a first-come-first-serve basis.